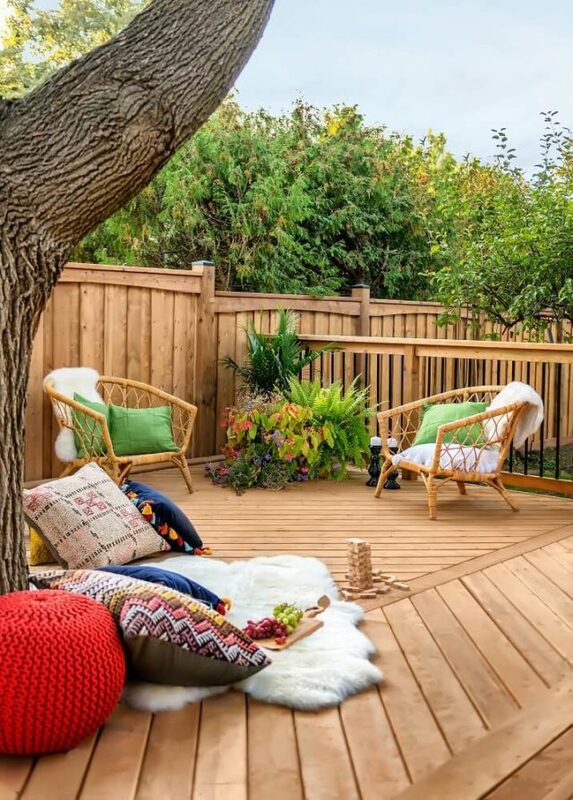 With real spring weather actually on the horizon, we took the opportunity to chat with HGTV star and outdoor expert, Carson Arthur, about starting backyard projects, what’s trending, planning your home garden, and the best ways to add pops of colour to your outdoor space! Newinhomes.com (NIH): It’s been a very long and harsh winter, what are the best ways to approach backyard projects once warmer weather is here to stay? Carson Arthur (CA): I always tell homeowners to beware of spring! We get all excited and run out to the garden centres or the home improvement stores without a real plan in place and buy things that eventually we have to replace because we didn’t think about the long-term effects. Always get an expert into your home to create a long-term plan that you can work on based on how many years you expect to be in the house. A good designer will help you pick products and styles based on your personal needs and expectations. NIH: What are some outdoor trends we’re going to be seeing this year? CA: I always try to avoid what is trendy. In the outdoors, homeowners should be more aware of what is best suited to their lifestyle. 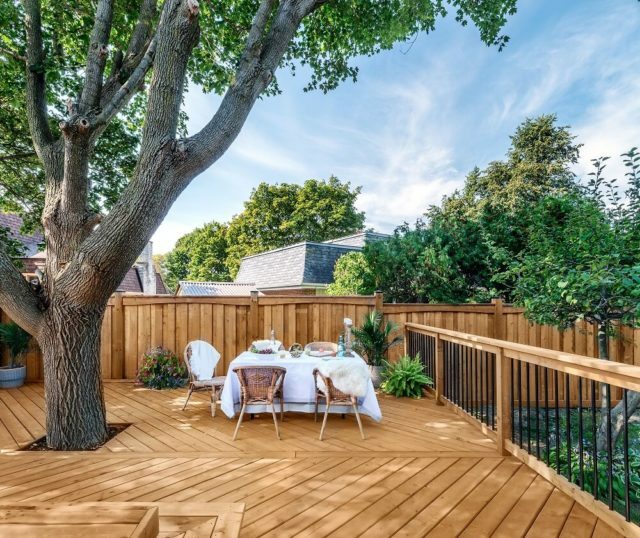 Many first-time homeowners are looking for experiential projects like vegetable gardens and pollinator-friendly spaces while others want low-maintenance backyard escapes. Maybe ‘lifestyle appropriate’ is in fact the new gardening trend. 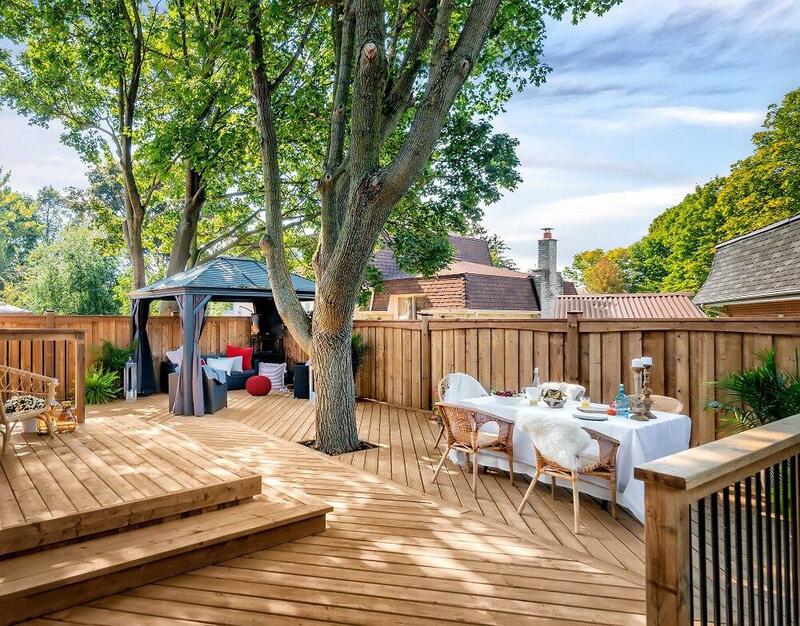 The biggest consensus across the country is the love of brown treated wood. Every homeowner wants a cost-effective alternative to the green stuff and products like MicroPro Sienna are delivering. With the look of cedar at a fraction of the cost, this new lumber is a fantastic addition to any space. NIH: Many people use the May long weekend to really start working on their gardens, do you think people will be waiting longer this year or will it be a good time to start planting? CA: May long weekend is really an Ontario thing. I am an advocate to planting when the weather in your area dictates it and be prepared to cover things up with the threat of frost. I have planted earlier and sometimes later based on the temperature of the soil. If the soil is warmer than 12 degrees celsius, you are good to go for things like peas, cabbages and even radishes. Your tomatoes and peppers are the ones that need the extra heat. NIH: How can people living in multifamily homes with balconies or smaller outdoor spaces master gardening within space constraints? CA: Vertical gardening and indoor growing stations have come so far in the last few years. This is because of the demand for healthier foods for our families. Don’t think that because you don’t have a backyard you can’t grow vegetables. I have seen amazing success stories from people all over the globe growing in unconventional spaces. NIH: What’s the biggest gardening mistake you see people make and how can it be avoided? CA: The biggest mistake that people seem to be constantly making is not understanding the effects of the soil and the planter to the food we are growing. ALL vegetables will absorb nutrients (AND CHEMICALS) from the soil they are planted in. When we start planting gardens in items like recycled tires, the chemicals used to vulcanize the rubber end up in the tomatoes that we serve to our friends and family. Be very careful when choosing a space for your edibles this year. NIH: Other than flowers, what are other ways to add colour to outdoor spaces? CA: There will always be accessories! For me, the outdoors are a spot to extend our usable living space. 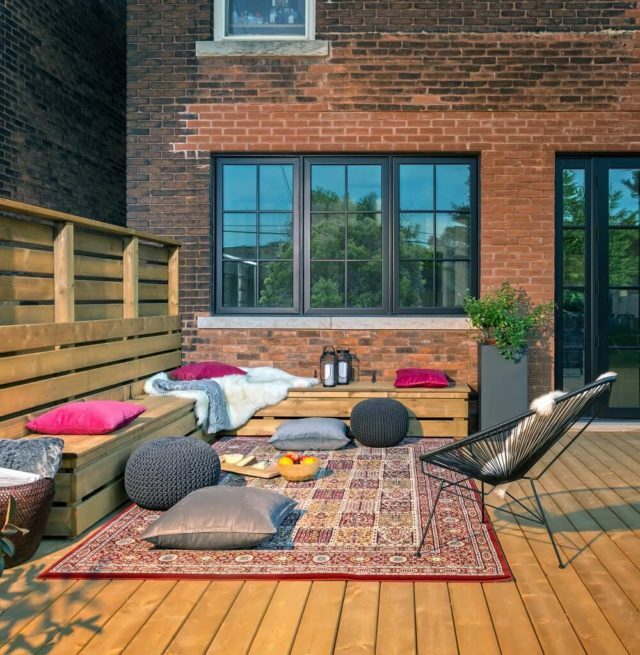 Treating a patio as we would a living room complete with furnishings and pops of colour just makes sense. I always believe that the colour should be in the things you can easily change in a room in case you get tired of a look. NIH: As a general rule, are all outdoor plants that are sold in local plant stores capable of thriving in Ontario, or are there some that are doomed from the start? CA: This is a big misconception. When buying plants and shrubs at a large box store, be very careful that the shrubs, trees and perennials will do well in your space. Often, the assortments in these stores are curated by a buyer in another province or city. When shopping, take a smart phone with you so that you can easily look up growing cycles, hardiness and mature size BEFORE you buy. That way you can avoid expensive surprises down the road. Big thanks goes out to Carson Arthur for taking the time to offer some outdoor tips for our readers!